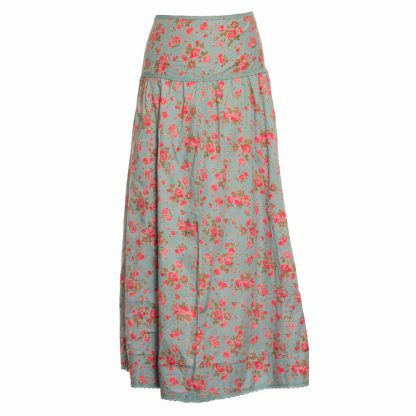 Long cotton skirt with wide flattering waistband and lace at the hem and waist. 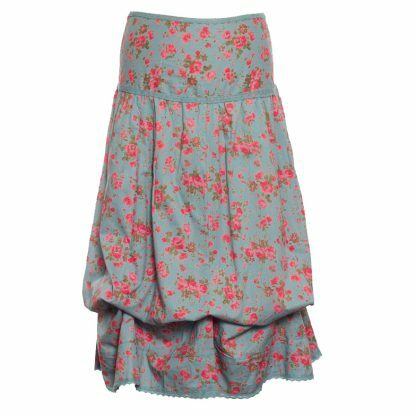 Can be worn high on the waist or low on the hips. 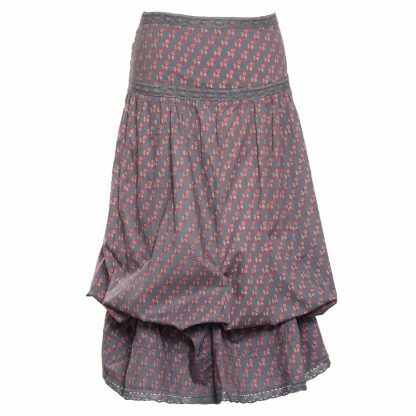 Elastic gathering at the back of the waist makes a great fit and adjustable size. 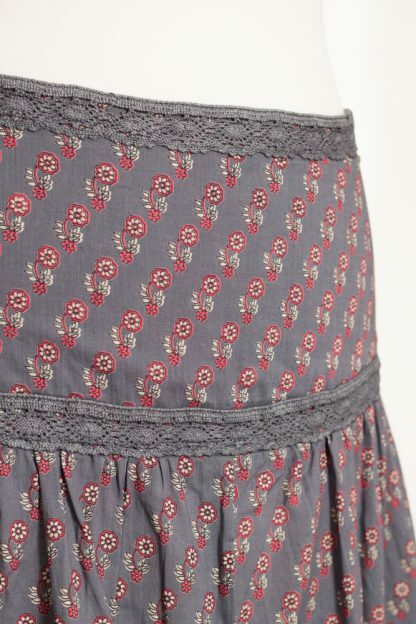 Can be rouched up at the hem with ties, or left long and simple. Fully lined. Full length 91cm, when rouched 76cm. Cool machine wash. 100% Cotton. One size fits sizes 8 – 16.